Model CHQ-WSB2 is an addressable loop powered Wall Sounder Beacon innovatively designed to provide a range of tones and volumes with a maximum output of up to 102dB(A) (±2dB(A)) with low current consumption. 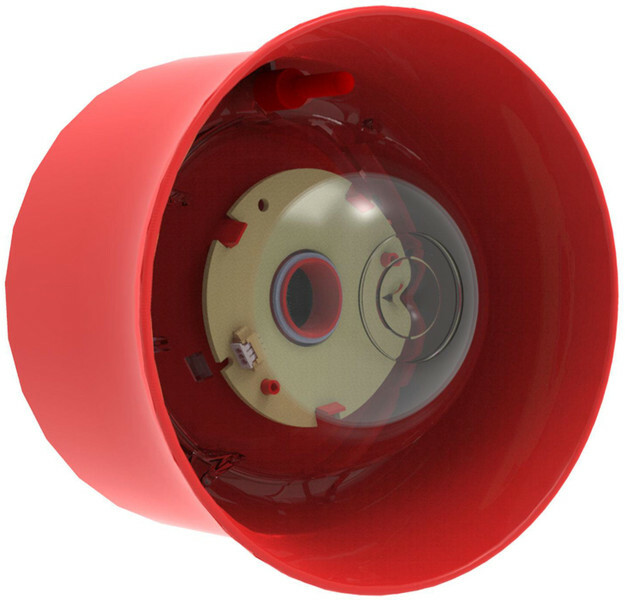 The unit features an integral beacon within the horn utilising high intensity LED technology and is designed to fit to the Standard Base (CHQ-WPK) & YBO- R/SCI(WHT)) or the Isolator Base (YBO-R/SCI(RED) & YBO-R/SCI(WHT)). The sounder is IP rated to IP21 for internal use but it can be made weatherproof by utilising the WS2-WPK Weatherproof Kit, which consists of a specialised back box and gasket set. Also incorporates an auto shutdown mode*1 which allows the user to set a fixed time within which the sounder will operate, before automatically silencing itself, ideal for minimising noise pollution. Single Loop Address - addressed via the TCH-B200 Hand Held Programmer. Variable Sound Output 90 ~ 102 dB(A) (±2 dB(A)) output at 1 metre. 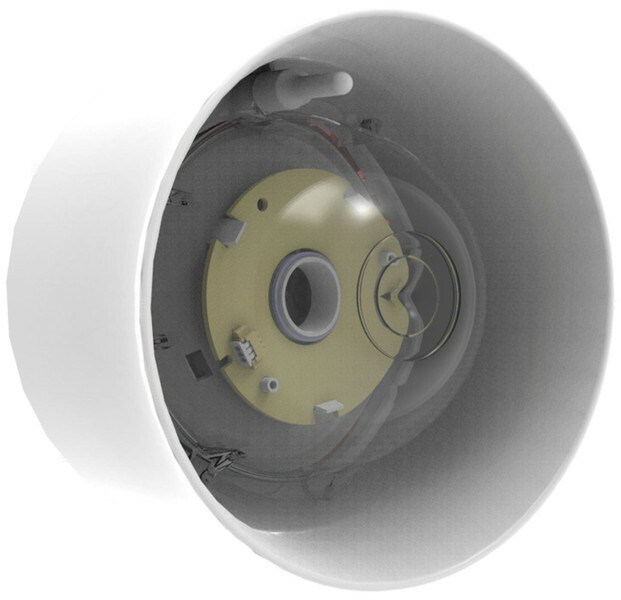 Sounder and Beacon can operated independently*1. 0.5 or 1Hz flash frequency*1. Fits Hochiki Standard or Isolator Base. 51 User-Selectable Tones (all tones EN54-3 approved). Auto-Shutdown feature prevents noise pollution*1. ‘O’ Rated Beacon to EN54-23. Available with Red or White LEDs. Available with Red or White case. SIL Level 2 approved variant available. Operating Voltage : 17 – 41 V d.c.